Breaking: Aguero Equals Premier League Record! Manchester City humiliated Chelsea 6-0 at Etihad Stadium as Pep Guardiola’s side regained the No.1 spot in the points table. Pep Guardiola and Manchester City had their revenge. Sarri’s side had beaten Manchester City a few months ago, inflicting their first defeat of the season. And at Etihad Stadium, Manchester City remorselessly ripped apart Sarri’s side, inflicting an embarrassing 6-0 defeat. 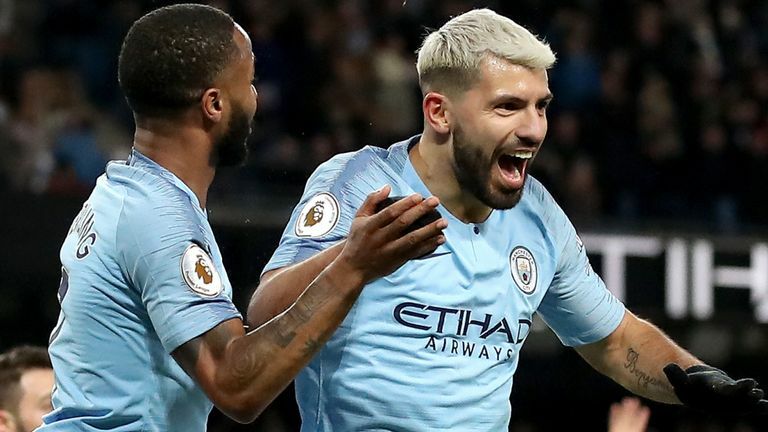 Aguero, who had scored his 10th Premier League hat-trick against another top side Arsenal a week ago, bagged another hat-trick, his 11th, against Sarri’s Chelsea. With this hat-trick the Argentine has equalled Alan Shearer’s record of most hat-tricks in the Premier League. 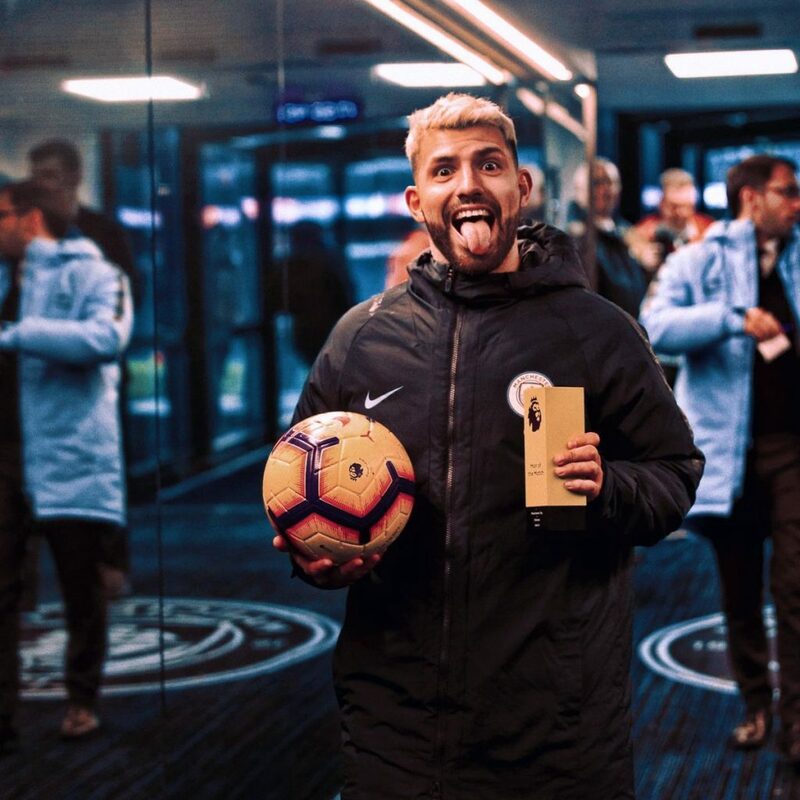 Another hat-trick in the Premier League by Aguero could see the Argentine become the one with most Premier League hat-tricks. Aguero started the game missing a sitter and Pep Guardiola made a wild reaction. However, the man scored City’s second a few minutes later, in the 13th minute as he curled the ball into the top corner. Six minutes later, in the 19th minute of the game, Aguero capitalized on a Chelsea defensive error and half-volleyed the ball inside the penalty box. Manchester City had already scored four at the half-time break and it was expected they would move to that tally and they were right. 10 minutes into the second half, Sterling was fouled inside the box by Chelsea’s Azpilicueta and Aguero converted the resultant penalty, etching his name in the history. Aguero was substituted a few minutes later and Gabriel Jesus came on to the pitch. Manchester City went onto score one more, via Sterling and that was the final in Chelsea’s proverbial coffin. The victory sees Manchester City return to the top of the table on goal difference although Liverpool has a game in hand. At the same time, Chelsea are now sixth in the points table, with Manchester United adorning the fourth place and Arsenal at fifth. Manchester City ruthlessly brushed aside Chelsea at Etihad Stadium and it was the Blues biggest defeat since 1991. Aguero has time and again proven his ability to hog the limelight in big matches. Seven days ago, he scored a hat-trick against Arsenal, and now, he has, against, Manchester City. What a man!